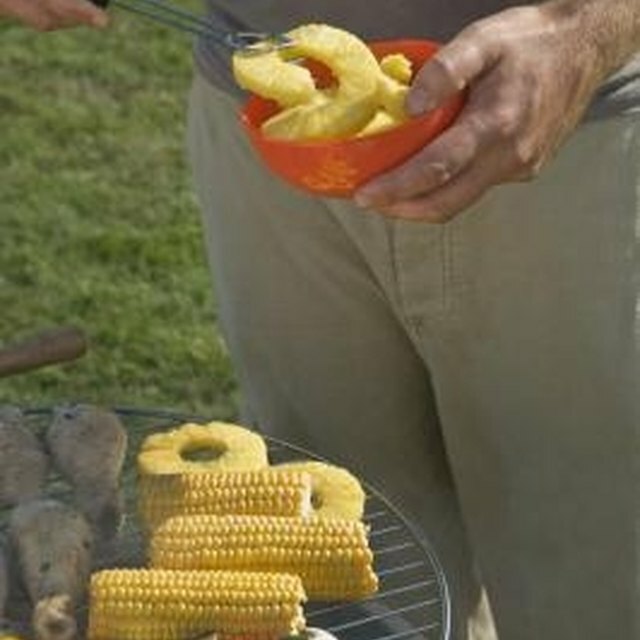 A disposable barbecue grill consists of a foil bottom containing charcoal, a lighting sheet and a foil grill. The lighting sheet is made of paper or other materials and contains lighter fluid. This eliminates the need to carry charcoal lighter with you for a tailgating party, a day at the beach or a picnic in the park. Disposable barbecue grills are lightweight and compact, which makes them easy to transport. With a disposable barbecue, you don't have to buy and transport charcoal and charcoal lighter to your destination. Remove all packing material from the disposable grill. Some models are in a cardboard box and have cellophane and paper stickers on the grill. Remove the materials so that you have a foil tray on the bottom and a foil grill on the top. Turn the grill upside down and unfold the two legs so they are perpendicular to the bottom of the grill. Not all models have legs. If your model does not, skip this step. Turn the barbeque right side up and grasp it on both sides. Gently shake the grill side to side to evenly distribute the charcoal inside. Place the grill on a nonflammable, heat-resistant surface. Strike a kitchen match or use a lighter to light the lighting sheet. Put your meat or food on the grill after letting the flames burn down. Turn items often that take longer to cook, such as chicken. Dispose the grill in the garbage after the coals in the grill have burnt and gone out and the grill is cool. Disposable grills will burn approximately 90 minutes. Disposable grills light and burn better if wind is not excessive.